Here we go again. It’s the fall, which means it’s time for the huge rush of titles, not the least of which is the next entry in the Call of Duty series. We have a unique fall this year with the new consoles launching this November as well. All things considered, it’s going to be a busy next few months here. Which brings me back to my main point – another year, another new Call of Duty title. 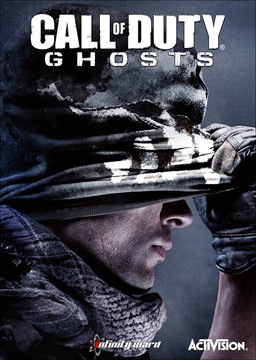 Despite it being probably the most popular series today, the new game, Call of Duty: Ghosts, seems to be running a little under the radar this year. Whether this is just due to Activision waiting to really push the game when the Xbox One and PS4 launch later or not, I don’t know. But I think it actually benefits the game. Even though it’s a hugely successful franchise, popular on pretty much every platform, there is a strong reaction against the games, even from fans. Not having this game pushed everywhere might work out, especially since this year there isn’t a Halo game to compete with, and Battlefield 4’s beta showed that it really can’t run well on the 360 without a huge install. This could be a real strong year for Call of Duty, if Ghosts is a strong entry to the series. Now, one thing that’s been bouncing around in my head for the last month or so is really what can we expect from Ghosts. This is the first Infinity Ward developed title since Modern Warfare 3, and it’s the first non-MW title they’ve produced since Call of Duty 2. The series has certainly evolved a lot since Call of Duty 4: Modern Warfare really put the franchise on the map. Two studios producing two distinct styles of the game make for a partially divided fanbase, but also allows for a different way of progressing the series. So with that in mind, I have been thinking a lot on the way the games have evolved over the last 6 years, in an attempt to think what to expect on the 5th. The first thing to think is the differences between a Treyarch title and an Infinity Ward title. In general, the two Black Ops games have a little bit more in the way of customization in the way that classes are built, which players responded well to, hence IW taking a similar approach with Ghosts. The “Pick 10” system was one of the better changes that was made in Black Ops II. Based on what we’ve seen pre-release of Ghosts, the weapons look like a well balanced selection that will complement a number of different playstyles. We’ll see if there are any broken weapons like the M16 from the first MW title, or the ACR from the second that are clearly stronger than all others, but that’s the kind of thing that needs time to develop. 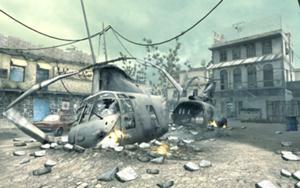 Secondly, the real strength of the Infinity Ward titles has been the maps. Compared to Black Ops, the three Modern Warfare titles have all had more balanced, more varied designs in the maps, that hold up over time better. There’s a reason that Crash is still highly regarded, six years later. That being the case, I think there’s high hopes that Ghosts will also have a number of strong, well-built maps that will continue to hold up years down the road. Finally, the areas that tend to see the least amount of play in the series – the campaign and co-op, are getting a little bit of an overhaul this time around. Based on the pre-release trailers, the campaign for Ghosts looks similar in tone to the Modern Warfare titles, but the scope looks much larger, which is impressive, in and of itself. In my opinion, I always thought that the Modern Warfare story was stronger than the Black Ops story, perhaps because it evolved over three games instead of just two. With that in mind, I have a good feeling about the story in Ghosts. However, the area that Treyarch definitely excelled in was the co-op multiplayer experience with the Zombies mode. Infinity Ward has tried to capitalize on that success before, with the Survival mode in MW3, but it was just not the same experience. However, with Ghosts, it looks like they are trying again, with Extinction mode. They’re slow playing it a bit though, which has me a little concerned it’s not as big a part of the game as the Zombies mode is. The trailer showing it off reminds me a lot more of Zombies mode more so than Survival, so we’ll just have to see if they’ve been able to nail it this time. There’s a lot more stuff to talk about with Call of Duty, that goes a little deeper than just the surface level I hit today. In the next couple weeks, I’ll try to go into them, while also delving into the next generation of consoles by looking back at the current gen.